Will the Special One return to west London this summer? REAL MADRID BOSS Jose Mourinho is keen to return to Stamford Bridge, but with talks still to take place his future remains unclear. Mourinho gave the biggest signal yet that he is primed for a move back to Chelsea, revealing his desire to go where he is loved and believes England, and one club in particular, has always been where that is the case. However, despite his wish to return to the London outfit, negotiations over the level of control the Portuguese would be allowed upon his arrival, could yet derail his ambitions to reunite with the Premier League. The former Porto and Inter boss is said to have held preliminary talks with last season’s UEFA Champions League winners, but they reportedly broke down due to the 50-year-old’s request to have complete authority over the club’s transfer policy. That and the acrimonious circumstances of Mourinho’s climax to his first spell at Chelsea could yet be a factor in whether he agrees to a deal with the club’s hierarchy. A split with owner Roman Abramovich, which was accelerated by the appointment of Avram Grant as director of football, led to an acrimonious departure in 2007. 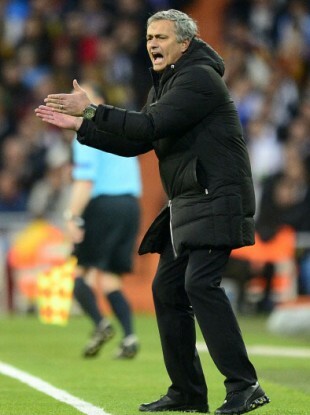 It remains to be seen whether time has healed the wounds of Mourinho’s dismissal, but while the UEFA Europa League semi-finalists are thought to be admirers of Malaga manager Manuel Pellegrini, it is believed Mourinho is the man at the top of their shortlist to take over from interim boss Rafael Benitez. A failure to qualify for next season’s UEFA Champions League is not expected to be a factor in Mourinho’s decision, and with rumours suggesting that he is keen to bring Borussia Dortmund striker Robert Lewandowski to the club should the opportunity arise, it is clear the former Barcelona assistant has big plans for the team he holds so dear. However, all this rests on whether he can come to an agreement with the unpredictable Abramovich, if that happens then it could well be an exciting time for the Chelsea fans. Email “Chelsea politics clouding Jose Mourinho's potential return”. Feedback on “Chelsea politics clouding Jose Mourinho's potential return”.